The Housing and Urban Development Department will offer eligible employees the opportunity to partially retire while remaining on the job part-time. HUD is the first major executive agency to announce a roll-out of phased retirement, which federal employees across government have awaited eagerly since Congress passed a law in 2012 allowing the arrangement to help federal agencies better manage their workforce needs. The Library of Congress also implemented a phased retirement program for its employees in the spring. HUD’s phased retirement program to will be open to non-bargaining unit employees and National Federation of Federal Employees bargaining unit workers who meet eligibility requirements. “We hope the program will be open to our remaining eligible employees in the near future,” said HUD Deputy Secretary Nani Coloretti in a Sept. 21 email to employees. 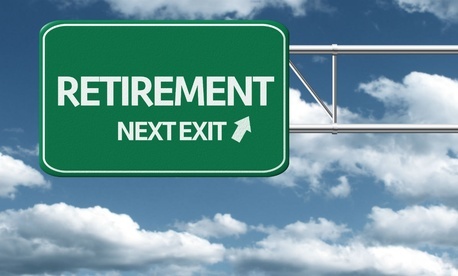 Agencies have broad discretion in deciding how to implement phased retirement, including deciding which jobs are eligible for it, determining mentoring activities and deciding how long an employee can remain partially retired. When eligible employees can apply for the opportunity will depend on how quickly their individual agencies can figure out a framework for offering phased retirement. Specifically, phased retirement allows eligible feds to work 20 hours per week, receiving half their pay as well as half their retirement annuity. Those employees who enter phased retirement must devote at least 20 percent of their work time, or about 8 hours a pay period, to mentoring other employees, ideally for those who take over for them when they fully retire. The idea is to keep talented employees with valuable institutional knowledge on the job a little longer so they can train other workers, while they also enjoy a partial retirement. Last summer – more than two years after the law’s passage – the Office of Personnel Management issued final rules on phased retirement, informing agencies that eligible employees could begin submitting applications on Nov. 6, 2014. But the reality is that interested federal employees have not been able to take advantage of the program since OPM implemented its final rules because nearly every agency to date either has failed to come up with phased retirement plans that meet the needs of their missions as well as collective bargaining agreements, or offer the benefit to eligible employees.